Earlier this summer, the Environmental Protection Agency of the United States (EPA) issued a Significant New Use Rule (SNUR) on asbestos, a naturally occurring mineral that is also a known carcinogen. Asbestos is the only definitive cause of mesothelioma, a cancer which affects the linings of internal organs. What is a Significant New Use Rule? A SNUR can be required when chemical substances or mixtures are under review for new uses that may cause changes to current policy, or create concerns around environmental health. There are four criteria to determine whether a SNUR is in order. They are volume, type of human or environmental exposure, extent of human or environmental exposure, and method or manner of processing and distribution of the substance. The rule states, “the Agency has found no information indicating that the following uses are ongoing, and therefore, the following uses are subject to this proposed SNUR,” before going on to list a number of uses that had previously been regulated under the Toxic Substance Control Act because of the health threats posed by asbestos in these capacities. Any person or corporation wishing to take advantage of the relaxation of asbestos regulations must notify the EPA at least 90 days prior to manufacturing. After the news of this new rule was released to the American public, news outlets recoiled from the rule, pointing out that by opening up asbestos production to a case-by-case basis, it would create a backlog of EPA notifications and lead to more production of the dangerous mineral. EPA spokesman James Hewitt told NBC News that this interpretation of the rule was inaccurate. Of course, without the SNUR, there would be no opening for manufacturing, and therefore no need for a regulatory basis to restrict it. 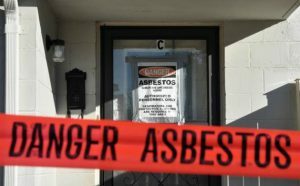 Organizations like the Asbestos Disease and Awareness Organization (ADAO) are pushing for a full scale ban of the material as an amendment to the Toxic Substance Control Act. It seems that the only way to responsibly use asbestos is to not use it at all. Though many countries have banned or severely restricted the use of asbestos, it still remains a threat to human and environmental health around the world. Asbestos is a group of naturally occurring minerals, divided into six types, all of which are carcinogenic to humans. The mineral is used mainly in construction materials for its valuable properties of insulation, sound absorption, and fire retardancy. In 2007 the World Health Assembly (WHA) endorsed a worldwide action plan for the elimination of asbestos-related diseases, by way of increased regulation of all forms of asbestos. However, this plan doesn’t give the WHA any actual regulatory power in member states. This “action plan” may be an effective framework for countries wishing to invest time into asbestos regulation and reduction, but doesn’t attain concrete goals of a worldwide asbestos ban. That often falls to the member states themselves. Though sixty five countries around the world have banned asbestos, heavy hitters like Russia, China, and the United States have not. Asbestos remains a problem because of its continued use and horrifying effects. This mineral can cause health problems like asbestosis, lung cancer, and mesothelioma. All of these are dangerous diseases with far reaching consequences and health repercussions. Mesothelioma, which takes 2,500 lives per year in the United States alone, is a devastating disease. This cancer has a long latency and then moves quickly and ruthlessly once fully developed. It can take 10 to 50 years for mesothelioma to appear, and only 7-9% of patients live longer than a year from diagnosis. There are three types of mesothelioma, each occurring in the internal lining of a different part of the body. Pleural mesothelioma takes residence in the lungs and is the most common form of mesothelioma, pericardial lives in the heart’s lining, and peritoneal forms in the abdominal wall. Typically cancer is measured in percentages of 5-year survival rates, but because of the extremely aggressive nature of mesothelioma, one year percentages are a more apt descriptor. Survival rates for each form of mesothelioma get lower the longer someone has the disease, and vary across pleural, peritoneal, and pericardial, with pericardial being consistently the lowest. It is estimated that this disease takes up to 43,000 lives annually worldwide. This is a global issue, that should be treated as a serious public health concern. Canada can be looked to as an example of how asbestos should be treated and mitigated. As recently as 2011, the country was a major exporter of the material and even headquartered The Chrysotile Institute in Quebec. Chrysotile Asbestos is the most common form of the mineral and is still mined around the world today. 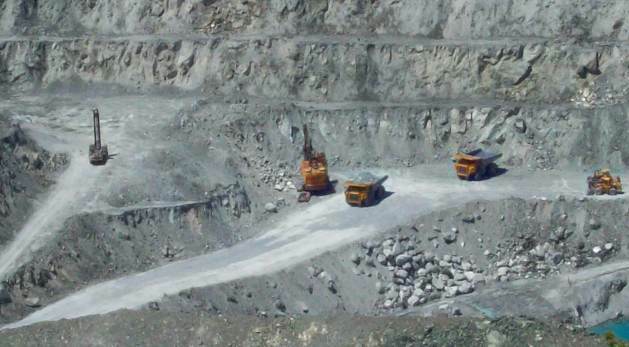 By January of 2018, a full plan to prohibit the sale, use, import and export of the mineral was proposed and sponsored by the federal health and environment departments of the Canadian government. This pivot from asbestos industry hub to shining example of how to implement a full asbestos ban was precipitated by many factors, which should be studied and replicated around the globe. The Jeffrey mine, located in the town of Asbestos in Quebec, Canada was once the world’s largest asbestos mine, and was fully functional until 2011. The government in power at that time, the Quebec Liberal Party, had promised a $58 million loan in June of 2012 to reopen the mine. When the party was defeated in September 2012 by the Parti Québécois, the loan was canceled and the Jeffrey mine, as well as the LAB Chrysotile mine closed down. Without the partisan support and financial support of the government, the asbestos industry was put at a standstill in Canada. Concern around asbestos in Canada quieted down after the loan was canceled and the mines closed, until 2016 when Prime Minister Justin Trudeau’s Liberal Party along with the Quebec National Assembly announced that a full ban on asbestos would be passed by 2018. Leading up to the cancellation of the 2012 loan were petitions written by scientists expressing the financial and public health impacts of continued asbestos use and production, as well as citizen and nonprofit campaigns on the issue. Basing these campaigns on solid scientific evidence drew the attention of the Parti Québécois, who noticed that asbestos regulation would be an advantageous campaign to support, which in turn cut off the financial support the industry so desperately needed. Looking to other countries around the world, lessons can be gained from Canada’s example. The first step in the Canadian change of wind was the attention of citizen and scientific organizations to the issue, which made asbestos reform an attractive political platform. After citizen support garnered political attention and the political leaders found a way to cut off financial support, the asbestos industry had little to no chance of recovering in Canada. Replicating, or at least drawing lessons from this example, could be valuable for a worldwide asbestos ban. This September 26th is Mesothelioma Awareness Day. Taking this day to reflect on Canada’s example and educate the public about the threat of asbestos in the home and workplace are vitally important to the eradication of this disease.